Dr Jag Srai, head of IfM’s Centre for International Manufacturing, discusses how companies can take practical steps toward the digitalisation of their operations and supply chains in the latest issue of The Manufacturer. 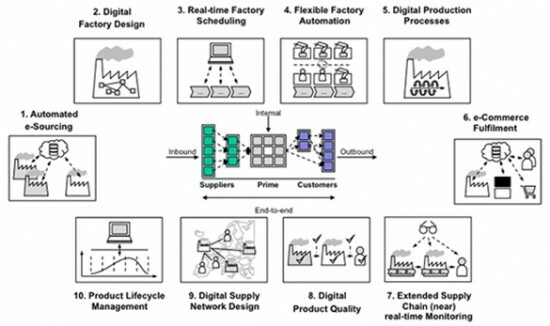 One of the main challenges with developing a digital supply chain vision is evaluating the many potential digital technology opportunities within a given operational context. Dr Srai has conceptualised what a future digital supply chain might look like and broken-down the digitalisation possibilities into 10 key areas or ‘scenarios’ to help companies understand the ways in which digitalisation could impact their organisation. Read the full article in the April issue of The Manufacturer magazine or online at The Manufacturer website.